Technology is constantly changing. Sometimes it’s great, but other times it can be a nuisance. Google Maps worked fine and the update didn’t fix anything I felt wasn’t working well. My wife and brother felt the same way. If you do too, here’s how to switch back to the original version permanently. Click on the question mark enclosed in a gray speech bubble on the bottom right of the map. You’ll see this dialog where you can get help. 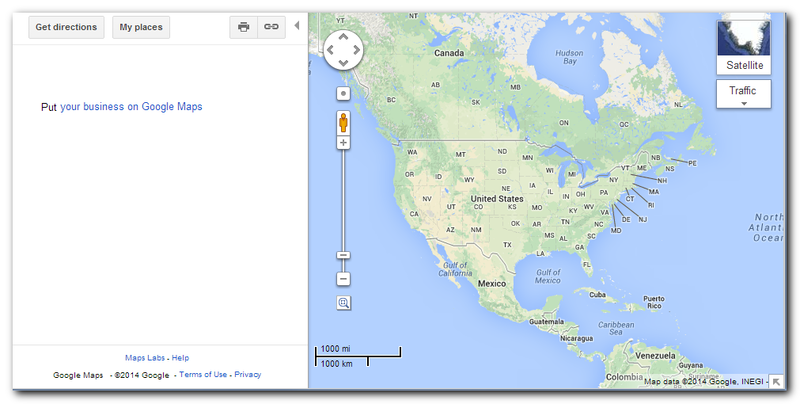 At the bottom there’s an option to Return to classic Google Maps. Click it. You can check boxes to let Google know why you’re switching, but you don’t have to. Either way, click on the link to Return to classic Google Maps at the bottom. The following box will appear at the top of the map. 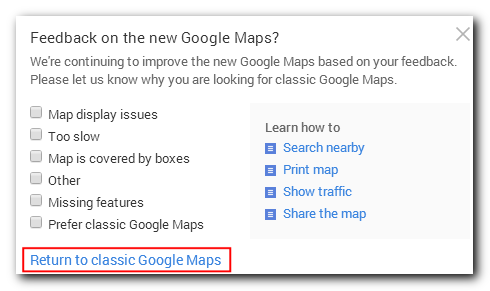 Click Yes to make the switch to classic Google Maps permament. 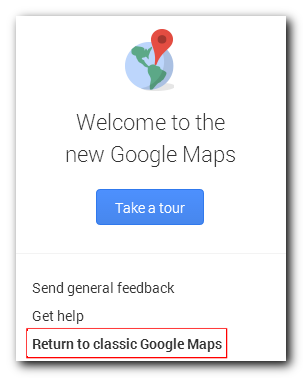 If you don’t click Yes, the next time you load Google maps you’ll be returned to the updated version. 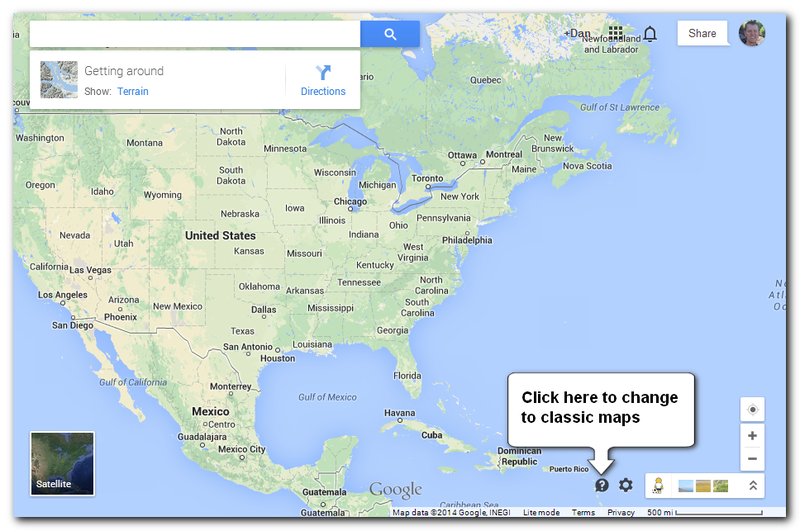 Now you’re using the classic version of Google Maps permanently. Google also provides written instructions to switch.